Heeft u genoeg van kronkelende leidingen en wilt u ze mooi strak afrollen alvorens een nieuwe brandstofleiding te maken? Dit gereedschap is ontworpen om 8mm en 5/16"dikke leiding strak af te rollen en alle golvingen etc te verwijderen. De tube-straightener is geschikt voor koper, aluminium, rvs en cunifer remleiding. Is eenvoudig in gebruik. Rol het eerste deel van de rol globaal af en druk de remleiding in een heen en weer gaande beweging door het gereedschap. De rollers in het gereedschap roteren rond de leiding en richten het tot een strak professioneel geheel. 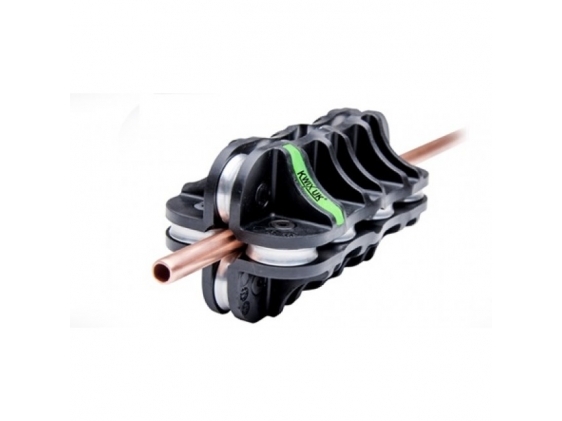 This revolutionary and affordable 8 mm or 5/16" OD pipe straightening/ tube straightener tool will straighten all types of light wall coiled tubing such as copper, aluminium, stainless steel, brass and various others. Easy to use, professional result! 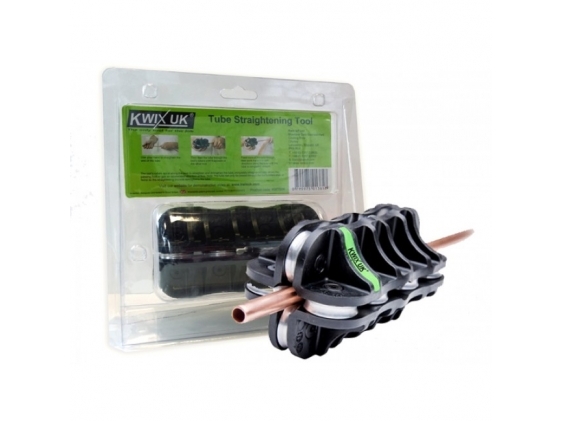 The most efficient hand held 8mm or 5/16" (Outside Diameter) coiled pipe straightening tool on the market which easily and accurately straightens pipe from a coil! 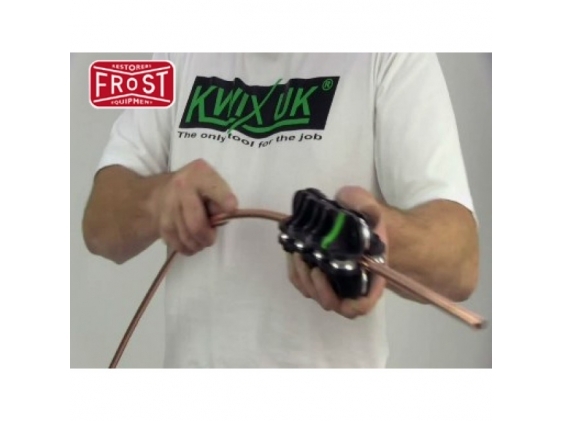 This revolutionary and affordable tool will straighten all types of light wall coiled tubing such as copper, aluminium, stainless steel, brass and more. The tube straightener is very easy to use. Firstly, straighten the end of the tube by hand and feed the tube through the rollers, then grip the tool firmly and start to feed more of the tube through the rollers and then slowly work the tool towards you and then in both directions along the tube until the tube is straight. The tool's rollers spiral along the tube to straighten and strengthen the tube, completely straightened tube allows the passing fluid or gas an accelerated direction of flow. Not only straighten pipe, this handy tool also allows you to mark the tube and create a reference point of radius bends. The perfect tool for a perfect alignment! Simple concept, very easy to use and of course, a professional looking finish each and every time!